To a 3 piece set of fireplace tools comprising of two tongs and one shovel. The tools have brass bell shaped tops and iron bottoms. 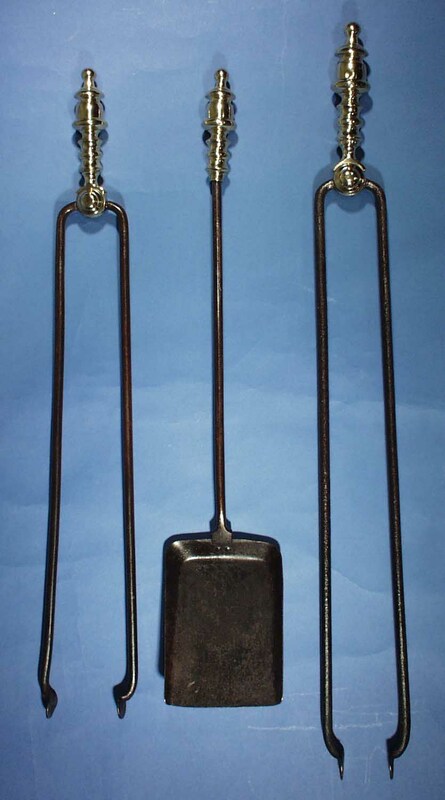 It is rare to find 2 tongs in a set of tools which have stayed together since their origin. The shovel bottom has been replaced. This antique has been hand polished & treated with conservation lacquer which can easily be removed.